7.1 Which of the following cash flows should be treated as incremental cash flows when computing the NPV of an investment? a. The reduction in the sales of the company's other products. b. The expenditure on plant and equipment. 190 Part II Value and Capital Budgeting c. The cost of research and development undertaken in connection with the product during the past three years. d. The annual depreciation expense. f. The resale value of plant and equipment at the end of the project's life. g. Salary and medical costs for production employees on leave. 7.2 Your company currently produces and sells steel-shaft golf clubs. The Board of Directors wants you to look at introducing a new line of titanium bubble woods with graphite shaft. Which of the following costs are not relevant? I. Land you already own that will be used for the project and has a market value of $700,000. II. $300,000 drop in sales of steel-shaft clubs if titanium woods with graphite shaft are introduced. III. $200,000 spent on Research and Development last year on graphite shafts. a. Compute the incremental net income of the investment. b. Compute the incremental cash flows of the investment. c. Suppose the appropriate discount rate is 12 percent. What is the NPV of the project? • $250,000 salary per year for three years. • 10 years of deferred payments of $125,000 per year (these payments begin in year 4). • Several bonus provisions that total as much as $75,000 per year for the three years of the contract. Assume that McRae has a 60-percent probability of receiving the bonuses each year, and that he signed the contract on January 1, 1983. (Hint: Use the expected bonuses as incremental cash flows.) Assume an effective annual interest rate of 12.36 percent, and ignore taxes. McRae's salary and bonus are paid at the end of the year. What was the present value of this contract in January when McRae signed it? handle one of two new product lines. The cost and revenue data for the two product alternatives follow. The building will be used for only 15 years for either product A or product B. After 15 years, the building will be too small for efficient production of either product line. At that time, Benson plans to rent the building to firms similar to the current occupants. To rent the building again, Benson will need to restore the building to its present layout. The estimated cash cost of restoring the building if product A has been undertaken is $3,750; if product B has been produced, the cash cost will be $28,125. These cash costs can be deducted for tax purposes in the year the expenditures occur. Benson will depreciate the original building shell (purchased for $225,000) over a 30-year life to zero, regardless of which alternative it chooses. The building modifications and equipment purchases for either product are estimated to have a 15-year life; also, they can and will be depreciated on a straight-line basis. The firm's tax rate is 34 percent, and its required rate of return on such investments is 12 percent. For simplicity, assume all cash flows for a given year occur at the end of the year. The initial outlays for modifications and equipment will occur at t = 0, and the restoration outlays will occur at the end of year 15. Also, Benson has other profitable ongoing operations that are sufficient to cover any losses. Which use of the building would you recommend to management? 7.6 Samsung International has rice fields in California that are expected to produce average annual profits of $800,000 in real terms forever. Samsung has no depreciable assets and is an all-equity firm with 200,000 shares outstanding. The appropriate discount rate for its stock is 12 percent. Samsung has an investment opportunity with a gross present value of $1 million. The investment requires a $400,000 outlay now. Samsung has no other investment opportunities. Assume that all cash flows are received at the end of each year. What is the price per share of Samsung? 7.7 Dickinson Brothers, Inc., is considering investing in a machine to produce computer keyboards. The price of the machine will be $400,000 and its economic life five years. The machine will be fully depreciated by the straight-line method. The machine will produce 10,000 units of keyboards each year. The price of the keyboard will be $40 in the first year, and it will increase at 5 percent per year. The production cost per unit of the keyboard will be $20 in the first year, and it will increase at 10 percent per year. The corporate tax rate for the company is 34 percent. If the appropriate discount rate is 15 percent, what is the NPV of the investment? 7.8 Scott Investors, Inc., is considering the purchase of a $500,000 computer that has an economic life of five years. The computer will be depreciated based on the system enacted by the Tax Reform Act of 1986. (See Table 7.3 for the depreciation schedules.) The market value of the computer will be $100,000 in five years. The use of the computer will save five office employees whose annual salaries are $120,000. It also contributes to lower net working capital by $100,000 when they buy the computer. The net working capital will be recovered at the end of the period. The corporate tax rate is 34 percent. Is it worthwhile to buy the computer if the appropriate discount rate is 12 percent? Part II Value and Capital Budgeting operating expenses are predicted to be 25 percent of sales. After three years the software can be sold for $40,000. The Gap also needs to add net working capital of $25,000 immediately. This additional net working capital will be recovered in full at the end of the project life. The corporate tax rate for Gap is 35 percent and the required rate of return on it is 17 percent. What is the NPV of the new software? 7.10 Etonic Inc. is considering an investment of $250,000 in an asset with an economic life of five years. The firm estimates that the nominal annual cash revenues and expenses will be $200,000 and $50,000, respectively. Both revenues and expenses are expected to grow at 3 percent per year as that of the expected annual inflation. Etonic will use straight-line method to depreciate its asset to zero over the economic life. The salvage value of the asset is estimated to be $30,000 in nominal terms at the end of five years. The one-time NWC investment of $10,000 is required immediately. Further, the nominal discount rate for all cash flows is 15 percent. All corporate cash flows are subject to a 35 percent tax rate. All cash flows, except the initial investment and the NWC, occur at the end of the year. What is the project's total nominal cash flow from assets in year 5? 7.11 Commercial Real Estate, Inc., is considering the purchase of a $4 million building to lease. The economic life of the building will be 20 years. Assume that the building will be fully depreciated by the straight-line method and its market value in 20 years will be zero. The company expects that annual lease payments will increase at 3 percent per year. The appropriate discount rate for cash flows of lease payments is 13 percent, while the discount rate for depreciation is 9 percent. The corporate tax rate is 34 percent. What is the least Commercial Real Estate should ask for the first-year lease? Assume that the annual lease payment starts right after the signature of the lease contract. 7.12 Royal Dutch Petroleum is considering going into a new project, which is typical for the firm. A capital tool required for the project costs $2 million. The marketing department predicts that sales will be $1.2 million per year for the next four years, after which the market will cease to exist. The tool, a five-year class capital tool, will be depreciated down to zero using the straight-line method. Cost of goods sold and operating expenses are predicted to be 25 percent of sales. After four years the tool can be sold for $150,000. Royal Dutch also needs to add net working capital of $100,000 immediately. This additional capital will be received in full at the end of the project life. The tax rate for Royal Dutch is 35 percent. The required rate of return on Royal Dutch is 16.55 percent. 7.13 Consider the following cash flows on two mutually exclusive projects. Cash flows of project A are expressed in real terms while those of project B are expressed in nominal terms. The appropriate nominal discount rate is 15 percent, and the inflation is 4 percent. Which project should you choose? 7.14 Sanders Enterprises, Inc., has been considering the purchase of a new manufacturing facility for $120,000. The facility is to be depreciated on a seven-year basis. It is expected to have no value after seven years. Operating revenues from the facility are expected to be $50,000 in the first year. The revenues are expected to increase at the inflation rate of 5 percent. Production costs in the first year are $20,000, and they are expected to increase at 7 percent per year. The real discount rate for risky cash flows is 14 percent, while the nominal riskless interest rate is 10 percent. The corporate tax rate is 34 percent. Should the company accept the suggestion? 7.15 Phillips Industries runs a small manufacturing operation. For this year, it expects to have real net cash flows of $120,000. Phillips is an ongoing operation, but it expects competitive pressures to erode its (inflation-adjusted) net cash flows at 6 percent per year. The appropriate real discount rate for Phillips is 11 percent. All net cash flows are received at year-end. What is the present value of the net cash flows from Phillips's operations? 7.16 Harry Gultekin, a small restaurant owner/manager, is contemplating the purchase of a larger restaurant from its owner who is retiring. Gultekin would finance the purchase by selling his existing small restaurant, taking a second mortgage on his house, selling the stocks and bonds that he owns, and, if necessary, taking out a bank loan. Because Gultekin would have almost all of his wealth in the restaurant, he wants a careful analysis of how much he should be willing to pay for the business. The present owner of the larger restaurant has supplied the following information about the restaurant from the past five years. As with many small businesses, the larger restaurant is structured as a Subchapter S corporation. This structure gives the owner the advantage of limited liability, but the pretax profits flow directly through to the owner, without any corporate tax deducted. The preceding figures have not been adjusted for changes in the price level. There is general agreement that the average profits for the past five years are representative of what can be expected in the future, after adjusting for inflation. Gultekin is of the opinion that he could earn at least $3,000 in current dollars per month as a hired manager. Gultekin feels he should subtract this amount from profits when analyzing the venture. Furthermore, he is aware of statistics showing that for restaurants of this size, approximately 6 percent of owners go out of business each year. *Probability of the business continuing. The probability of failing in any year is 6 percent. That probability compounds over the years. Based on these calculations, Gultekin has calculated that the value of the restaurant is $350,000. a. Assume that there is indeed a 6 percent per year probability of going out of business. Do you agree with Gultekin's assessment of the restaurant? In your answer, consider his treatment of inflation, his deduction of the managerial wage of $3,000 per month, and the manner in which he assessed risk. b. What present value would you place on the revenue stream; in other words, how much would you advise Gultekin that he should be willing to pay for the restaurant? 7.17 The Biological Insect Control Corporation (BICC) has hired you as a consultant to evaluate the NPV of their proposed toad ranch. BICC plans to breed toads and sell them as ecologically desirable insect-control mechanisms. They anticipate that the business will continue in perpetuity. Following negligible start-up costs, BICC will incur the following nominal cash flows at the end of the year. The company will lease machinery from a firm for $20,000 per year. (The lease payment starts at the end of year 1.) The payments of the lease are fixed in nominal terms. Sales will increase at 5 percent per year in real terms. Labor costs will increase at 3 percent per year in real terms. Other costs will decrease at 1 percent per year in real terms. The rate of inflation is expected to be 6 percent per year. The real rate of discount for revenues and costs is 10 percent. The lease payments are risk-free; therefore, they must be discounted at the risk-free rate. The real risk-free rate is 7 percent. There are no taxes. All cash flows occur at year-end. What is the NPV of BICC's proposed toad ranch today? 7.18 Sony International has an investment opportunity to produce a new stereo color TV. The required investment on January 1 of this year is $32 million. The firm will depreciate the investment to zero using the straight-line method. The firm is in the 34-percent tax bracket. The price of the product on January 1 will be $400 per unit. That price will stay constant in real terms. Labor costs will be $15 per hour on January 1. They will increase at 2 percent per year in real terms. Energy costs will be $5 per physical unit on January 1; they will increase at 3 percent per year in real terms. The inflation rate is 5 percent. Revenues are received and costs are paid at year-end. The riskless nominal discount rate is 4 percent. The real discount rate for costs and revenues is 8 percent. Calculate the NPV of this project. 7.19 Sparkling Water, Inc., sells 2 million bottles of drinking water each year. Each bottle sells at $2.5 in real terms and costs per bottle are $0.7 in real terms. Sales income and costs occur at year-end. Sales income is expected to rise at a real rate of 7 percent annually, while real costs are expected to rise at 5 percent annually. The relevant, real discount rate is 10 percent. The corporate tax rate is 34 percent. What is Sparkling worth today? nominal discount rate for risky cash flows is 20 percent. The nominal discount rate for riskless cash flows is 11 percent. The rate of inflation is 5 percent. Cash flows, except the initial investment, occur at the end of the year. The corporate tax rate is 34 percent; capital gains are also taxed at 34 percent. What is the net present value of this project? a. The new equipment would replace existing equipment that has a current market value of $20,000. b. The new equipment would not affect revenues, but before-tax operating costs would be reduced by $10,000 per year for eight years. These savings in cost would occur at year-end. c. The old equipment is now five years old. It is expected to last for another eight years, and it is expected to have no resale value at the end of those eight years. It was purchased for $40,000 and is being depreciated to zero on a straight-line basis over 10 years. d. The new equipment will be depreciated to zero using straight-line depreciation over five years. MMC expects to be able to sell the equipment for $5,000 at the end of eight years. 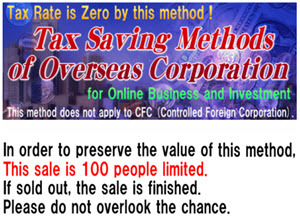 The proceeds from this sale would be subject to taxes at the ordinary corporate income tax rate of 34 percent. e. MMC has profitable ongoing operations. f. The appropriate discount rate is 8 percent. 7.22 After extensive medical and marketing research, Pill, Inc., believes it can penetrate the pain reliever market. It can follow one of two strategies. The first is to manufacture a medication aimed at relieving headache pain. The second strategy is to make a pill designed to relieve headache and arthritis pain. Both products would be introduced at a price of $4 per package in real terms. The broader remedy would probably sell 10 million packages a year. This is twice the sales rate for the headache-only medication. Cash costs of production in the first year are expected to be $1.50 per package in real terms for the headache-only brand. Production costs are expected to be $1.70 in real terms for the more general pill. All prices and costs are expected to rise at the general inflation rate of 5 percent. Either strategy would require further investment in plant. The headache-only pill could be produced using equipment that would cost $10.2 million, last three years, and have no resale value. The machinery required to produce the broader remedy would cost $12 million and last three years. At this time the firm would be able to sell it for $1 million (in real terms). The production machinery would need to be replaced every three years, at constant real costs. Suppose that for both projects the firm will use straight-line depreciation. The firm faces a corporate tax rate of 34 percent. The firm believes the appropriate real discount rate is 13 percent. Capital gains are taxed at the ordinary corporate tax rate of 34 percent. Which pain reliever should the firm produce? 7.23 A machine that lasts four years has the following net cash outflows. $12,000 is the cost of purchasing the machine, and $6,000 is the annual year-end operating cost. At the end of four years, the machine is sold for $2,000; thus, the cash flow at year 4, C4, is only $4,000. The cost of capital is 6 percent. What is the present value of the costs of operating a series of such machines in perpetuity? 7.24 A machine costs $60,000 and requires $5,000 maintenance for each year of its three-year life. After three years, this machine will be replaced. Assume a tax rate of 34 percent and a discount rate of 14 percent. If the machine is depreciated with a three-year straight-line without a salvage value, what is the equivalent annual cost (EAC)? 7.25 United Healthcare, Inc. needs a new admitting system, which costs $60,000 and requires $2,000 in maintenance for each year of its five-year life. The system will be depreciated straight-line down to zero without salvage value at the end of five years. Assume a tax rate of 35 percent and an annual discount rate of 18 percent. What is the equivalent annual cost of this admitting system? 7.26 Aviara Golf Academy is evaluating different golf practice equipment. The "easy as pie" equipment costs $45,000, has a three-year life, and costs $5,000 per year to operate. The relevant discount rate is 12 percent. Assume that the straight-line depreciation down to zero is used. Furthermore, it has a salvage value of $10,000. The relevant tax rate is 34 percent. What is the EAC of this equipment? 7.27 Office Automation, Inc., is obliged to choose between two copiers, XX40 or RH45. XX40 costs less than RH45, but its economic life is shorter. The costs and maintenance expenses of these two copiers are given as follows. These cash flows are expressed in real terms. The inflation rate is 5 percent and the nominal discount rate is 14 percent. Assume that revenues are the same regardless of the copier, and that whichever copier the company chooses, it will buy the model forever. Which copier should the company choose? Ignore taxes and depreciation. 7.28 Fiber Glasses must choose between two kinds of facilities. Facility I costs $2.1 million and its economic life is seven years. The maintenance costs for facility I are $60,000 per year. Facility II costs $2.8 million and it lasts 10 years. The annual maintenance costs for facility II are $100,000 per year. Both facilities are fully depreciated by the straight-line method. The facilities will have no values after their economic lives. The corporate tax rate is 34 percent. Revenues from the facilities are the same. The company is assumed to earn a sufficient amount of revenues to generate tax shields from depreciation. If the appropriate discount rate is 10 percent, which facility should Fiber Glasses choose? 7.29 Pilot Plus Pens is considering when to replace its old machine. The replacement costs $3 million now and requires maintenance costs of $500,000 at the end of each year during the economic life of five years. At the end of five years the new machine would have a salvage value of $500,000. It will be fully depreciated by the straight-line method. The corporate tax rate is 34 percent and the appropriate discount rate is 12 percent. Maintenance cost, salvage value, depreciation, and book value of the existing machine are given as follows. The company is assumed to earn a sufficient amount of revenues to generate tax shields from depreciation. When should the company replace the machine? 7.30 Gold Star Industries is in need of computers. They have narrowed the choices to the SAL 5000 and the DET 1000. They would need 10 SALs. Each SAL costs $3,750 and requires $500 of maintenance each year. At the end of the computer's eight-year life Gold Star expects to be able to sell each one for $500. On the other hand, Gold Star could buy eight DETs. DETs cost $5,250 each and each machine requires $700 of maintenance every year. They last for six years and have a resale value of $600 for each one. Whichever model Gold Star chooses, it will buy that model forever. Ignore tax effects, and assume that maintenance costs occur at year-end. Which model should they buy if the appropriate discount rate is 11 percent? 7.31 BYO University is faced with the decision of which word processor to purchase for its typing pool. It can buy 10 Bang word processors which cost $8,000 each and have estimated annual, year-end maintenance costs of $2,000 per machine. The Bang word processors will be replaced at the end of year 4 and have no value at that time. Alternatively, BYO could buy 11 IOU word processors to accomplish the same work. The IOU word processors would need to be replaced after three years. They cost only $5,000 each, but annual, year-end maintenance costs will be $2,500 per machine. A reasonable forecast is that each IOU word processor will have a resale value of $500 at the end of three years. The university's opportunity cost of funds for this type of investment is 14 percent. Because the university is a nonprofit institution, it does not pay taxes. It is anticipated that whichever manufacturer is chosen now will be the supplier of future machines. Would you recommend purchasing 10 Bang word processors or 11 IOU machines? 7.32 Station WJXT is considering the replacement of its old, fully depreciated sound mixer. Two new models are available. Mixer X has a cost of $400,000, a five-year expected life, and after-tax cash flow savings of $120,000 per year. Mixer Y has a cost of $600,000, an eight-year life, and after-tax cash flow savings of $130,000 per year. No new technological developments are expected. The cost of capital is 11 percent. Should WJXT replace the old mixer with X or Y? 7.33 Kaul Construction must choose between two pieces of equipment. Tamper A costs $600,000 and it will last five years. This tamper will require $110,000 of maintenance each year. Tamper B costs $750,000, but it will last seven years. Maintenance costs for Tamper B are $90,000 per year. Kaul incurs all maintenance costs at the end of the year. The appropriate discount rate for Kaul Construction is 12 percent. a. Which machine should Kaul purchase? b. What assumptions are you making in your analysis for part (a)? 7.34 Philben Pharmaceutics must decide when to replace its autoclave. Philben's current autoclave will require increasing amounts of maintenance each year. The resale value of the equipment falls every year. The following table presents this data. Philben can purchase a new autoclave for $3,000. The new equipment will have an economic life of six years. At the end of each of those years, the equipment will require $20 of maintenance. Philben expects to be able to sell the machine for $1,200 at the end of six years. Assume that Philben will pay no taxes. The appropriate discount rate for this decision is 10 percent. When should Philben replace its current machine? a. The net investment (time 0 cash flow). b. The after-tax cash flow for each period. c. The internal rate of return, the net present value, and the profitability index. CASE STUDY: Goodweek Tires, Inc.
After extensive research and development, Goodweek Tires, Inc., has recently developed a new tire, the SuperTread, and must decide whether to make the investment necessary to produce and market the SuperTread.The tire would be ideal for drivers doing a large amount of wet weather and off-road driving in addition to its normal freeway usage.The research and development costs so far total about $10 million.The SuperTread would be put on the market beginning this year and Goodweek expects it to stay on the market for a total of four years.Test marketing costing $5 million shows that there is a significant market for a SuperTread-type tire. As a financial analyst at Goodweek Tires, you are asked by your CFO, Mr.Adam Smith, to evaluate the SuperTread project and provide a recommendation on whether to go ahead with the in-vestment.You are informed that all previous investments in the SuperTread are sunk costs and only future cash flows should be considered. Except for the initial investment which will occur immediately, assume all cash flows will occur at year-end. 1. The Original Equipment Manufacturer (OEM) Market The OEM market consists primarily of the large automobile companies (e.g., General Motors) who buy tires for new cars. In the OEM market, the SuperTread is expected to sell for $36 per tire.The variable cost to produce each tire is $18. 2. The Replacement Market The replacement market consists of all tires purchased after the automobile has left the factory.This market allows higher margins and Goodweek expects to sell the SuperTread for $59 per tire there.Variable costs are the same as in the OEM market. Goodweek Tires intends to raise prices at 1 percent above the inflation rate.Variable costs will also increase 1 percent above the inflation rate. In addition,the SuperTread project will incur $25 million in marketing and general administration costs the first year (this figure is expected to increase at the inflation rate in the subsequent years). Goodweek's corporate tax rate is 40 percent.Annual inflation is expected to remain constant at 3.25 percent.The company uses a 15.9 percent discount rate to evaluate new product decisions. Automotive industry analysts expect automobile manufacturers to produce 2 million new cars this year and production to grow at 2.5 percent per year thereafter. Each new car needs four tires (the spare tires are undersized and are in a different category). Goodweek Tires expects the SuperTread to capture 11 percent of the OEM market. Industry analysts estimate that the replacement tire market size will be 14 million tires this year and that it will grow at 2 percent annually. Goodweek expects the SuperTread to capture an 8 percent market share. How do you calculate discounted payback period for goodweek tire case study?